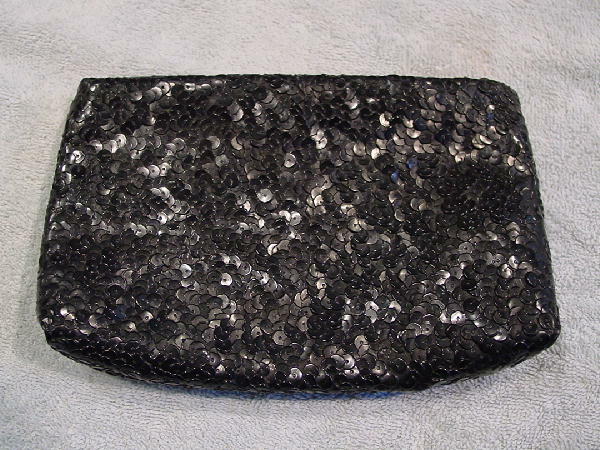 This vintage black plastic '60s sequin clutch has a top side to side zipper. The interior is black plastic. You can also use it as a makeup bag, since it's plastic-lined. It belonged to her grandmother.